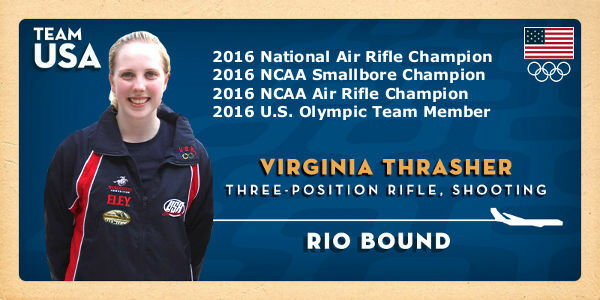 Thrasher, a member of the West Virginia University Mountaineers, has been on a tear of late. After winning the the Olympic Trials in Three-Position Rifle in April, she then earned two finals appearances at the Munich World Cup in May. 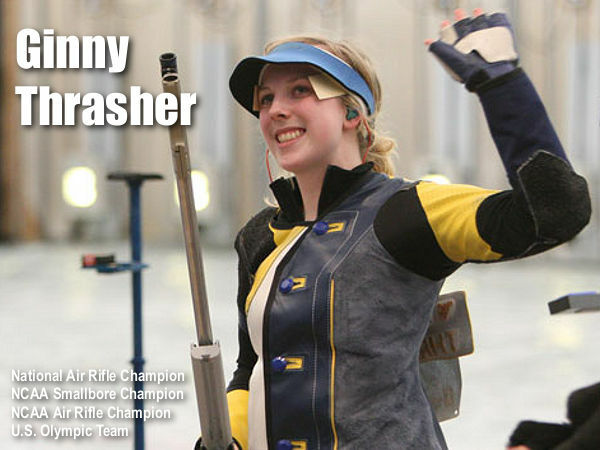 Prior to that, Ginny’s sharpshooting earned her individual NCAA titles in air rifle and smallbore. 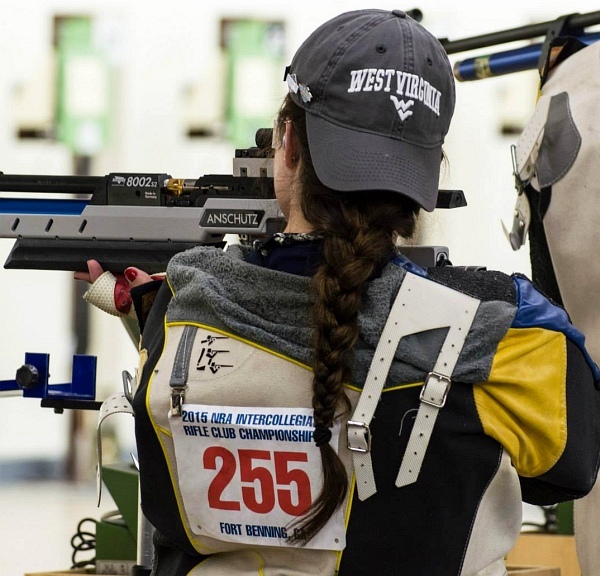 With those performances, the talented freshman led West Virginia University to the collegiate team title and was named Top Performer of the 2016 NCAA Shooting Championship. 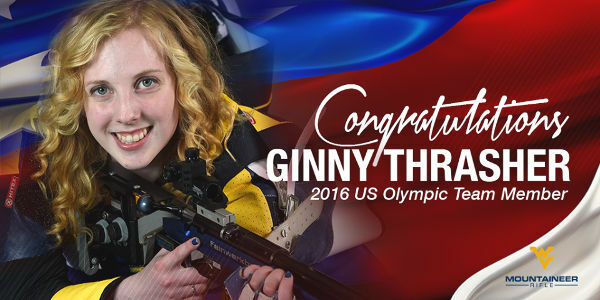 Thrasher earned her way onto the national team with a stellar performance at the 2015 U.S. championships, where she won five medals, three in junior competition and two in open competition. 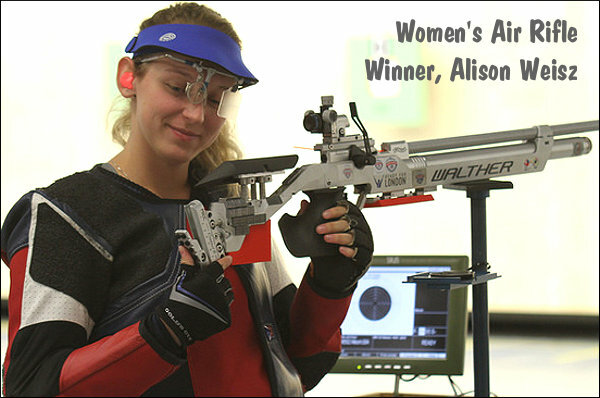 That performance propelled her into her freshman season at West Virginia University. 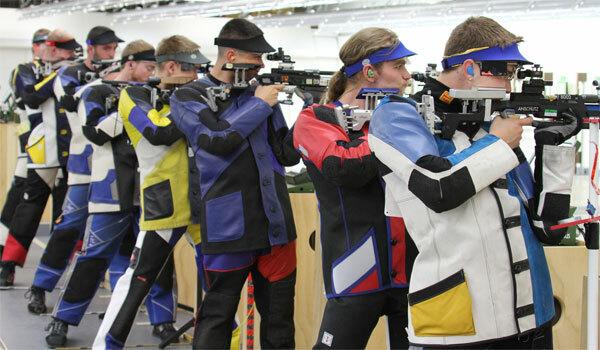 This year’s USA Shooting National Championships includes more than 300 athletes vying for National Team selections and the upcoming Olympic and Paralympic Games in Rio De Janeiro, Brazil. 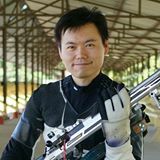 Other shooters attending this year’s Nationals are looking ahead to the next Olympic Games — Tokyo 2020. 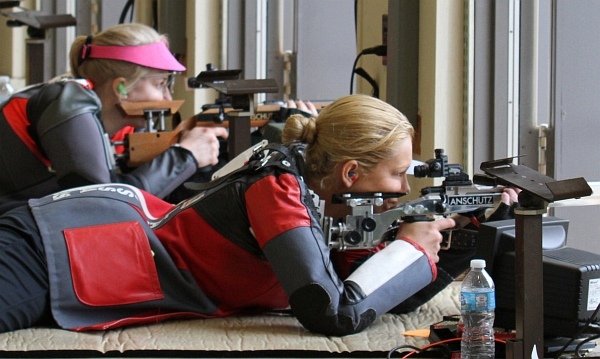 Mindy Miles (Weatherford, Texas) finished second at Nationals behind Thrasher in the women’s Air Rifle Event. Thrasher’s Team USA teammate at the Rio Olympics, Sarah Scherer (Woburn, Massachusetts), won the Final to finish third overall. 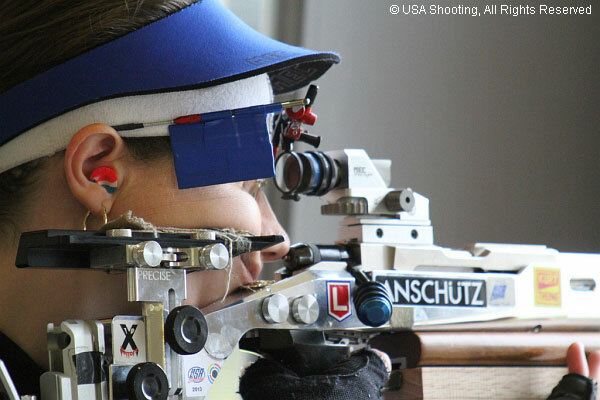 Share the post "Olympics-Bound Ginny Thrasher Wins National Air Rifle Title"
This week, the U.S. Army Marksmanship Unit is pleased to host pistol teams from the various U.S. Armed Services in the 56th Annual Interservice Pistol Championship. Our Handloading Shop members have enjoyed discussing pistol accuracy and enjoying the camaraderie of competitive shooters from all over. 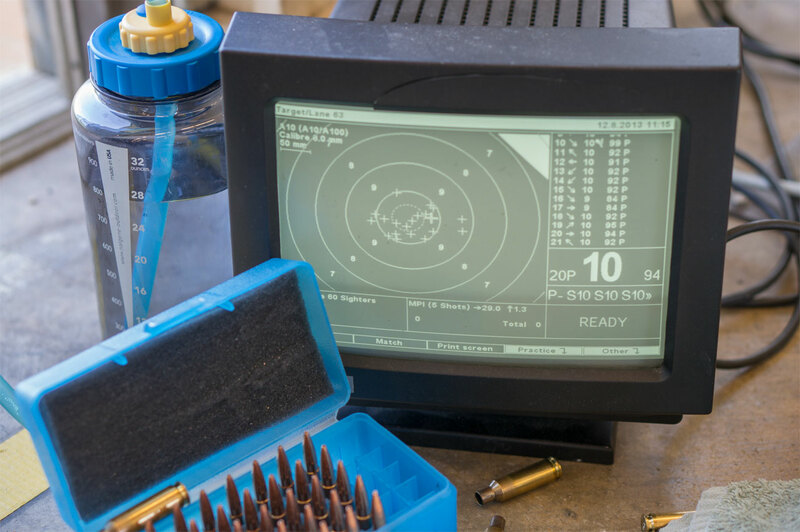 In that spirit, this week’s topic will focus on handloading for best pistol accuracy, rather than our usual rifle-oriented information. 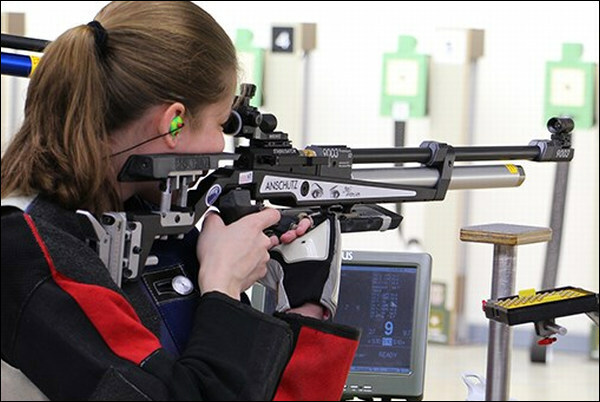 The nation’s top junior air-rifle shooters recently competed at the 2014 U.S. Army National Junior Air Rifle Championship hosted by the USAMU at the Pool Range Complex in Fort Benning, GA. Juniors (ages 14-18) competed for national titles in two divisions–Sporter and Precision — under the watchful eye of the USAMU’s shooter/instructors. 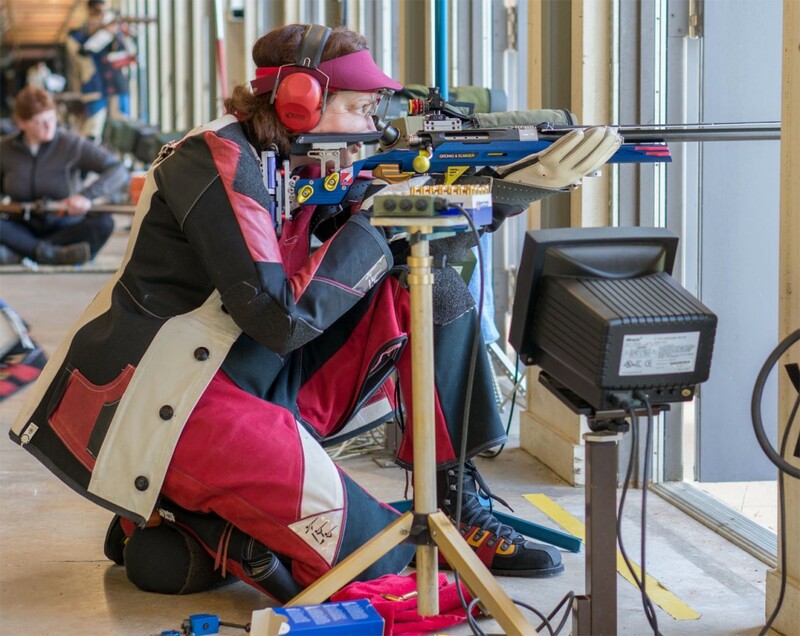 More than $31,000 in endowment money was awarded to teams and individuals from the Georgia Youth Sport Shooting Foundation. 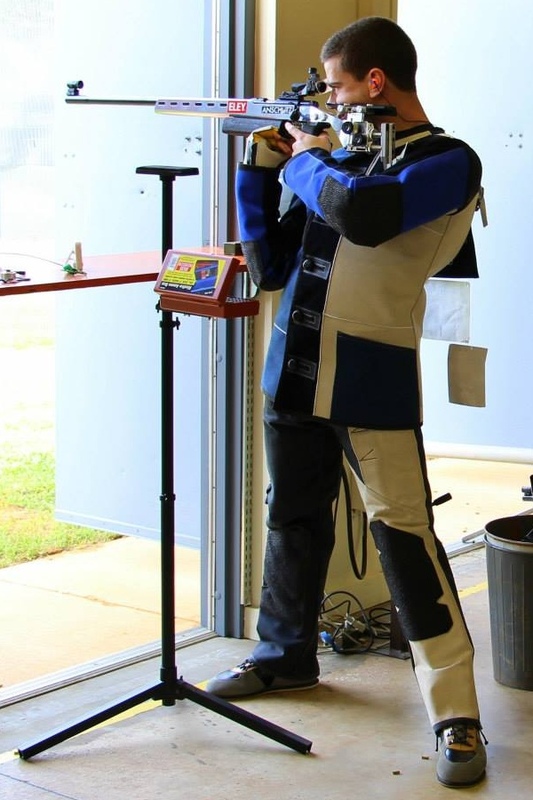 Ashley Durham and her JROTC teammates from Dalton McMichael High School in North Carolina, brought home the Sporter Division title. 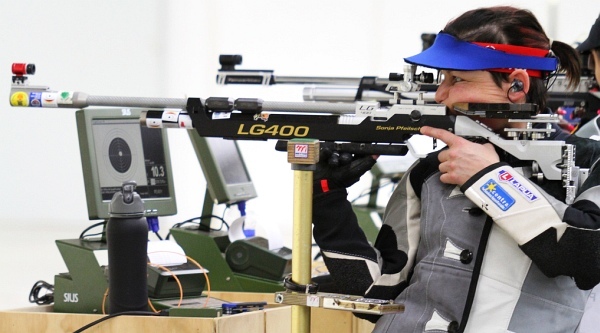 Durham led the way, adding the Sporter Division individual championship to her collection of trophies. David Sink, from Columbia, Md., took home top honors in the Precision Division while he and his teammates from Queen Anne’s 4-H won the Precision national team championship. 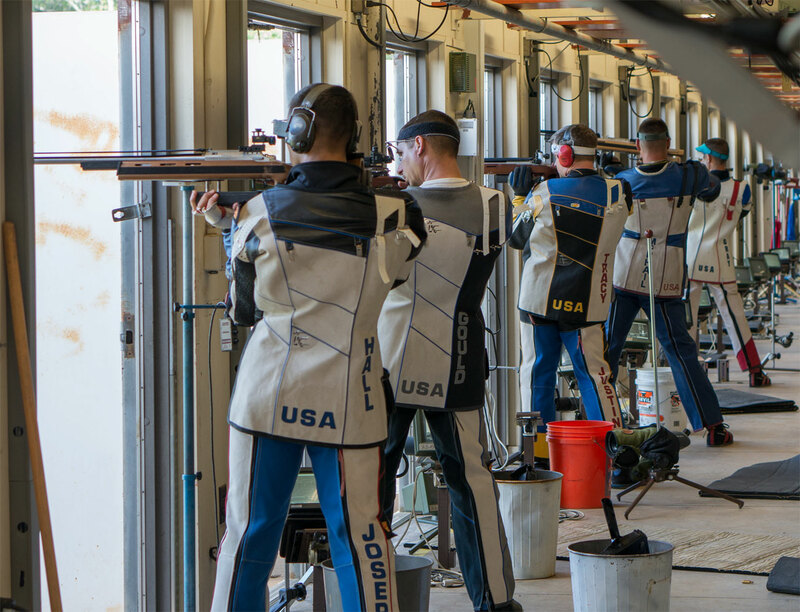 Share the post "USAMU Hosts National Junior Air Rifle Championship"
This week (March 8-17) the U.S. Army Marksmanship Unit (USAMU) hosts the Army Strong Collegiate Shooting Championships at Fort Benning, Georgia. 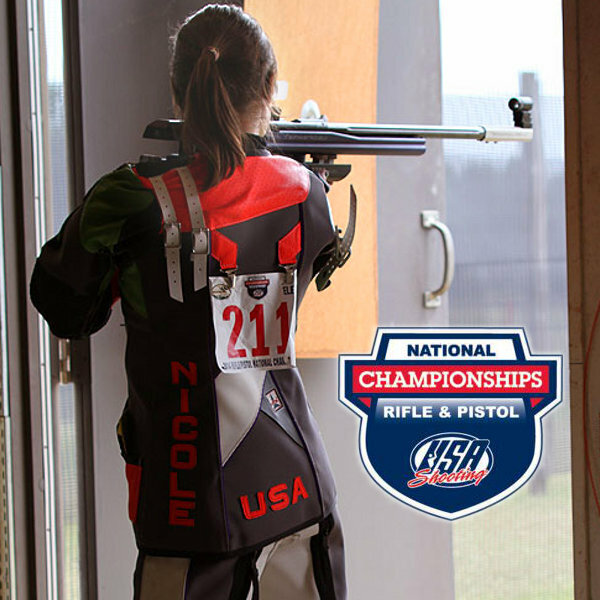 More than 300 elite junior and collegiate shooters are expected to compete. 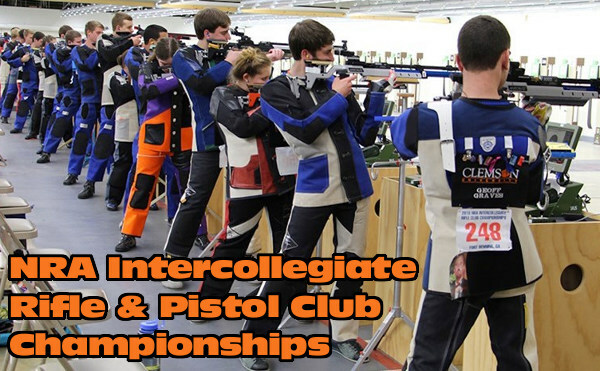 This event involves six distinct championships: the NRA Intercollegiate Pistol Championships; the NRA Intercollegiate Rifle Club Championship; the Scholastic Steel Challenge (SSC) Collegiate Championship; the Scholastic Clay Target Program (SCTP) Challenge; the Scholastic Pistol Program (SPP) Collegiate Championship; and the Association of College Unions International (ACUI) East Coast Clay Target Championship. 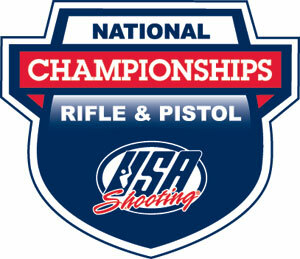 Colleges and Universities competing at this year’s championships include Clemson, Ohio State, Univ. of Michigan, U.S. Military Academy, U.S. Naval Academy, Penn State, and the Virginia Military Institute. 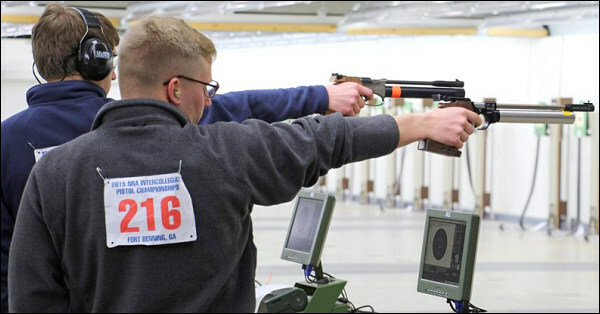 Junior shooters from Georgia, Tennessee, Kansas, Massachusetts, and other states will compete in the SCTP Challenge. 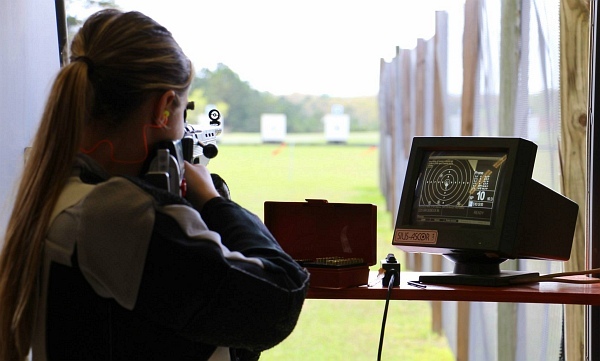 The Scholastic Steel Challenge (SSC) provides the opportunity for junior and collegiate shooters to participate in the exciting and challenging family sport of “speed steel.” The competitive format is based on the Steel Challenge, the nation’s most successful handgun competition. West Point will be among the favorites at this year’s SSC match. 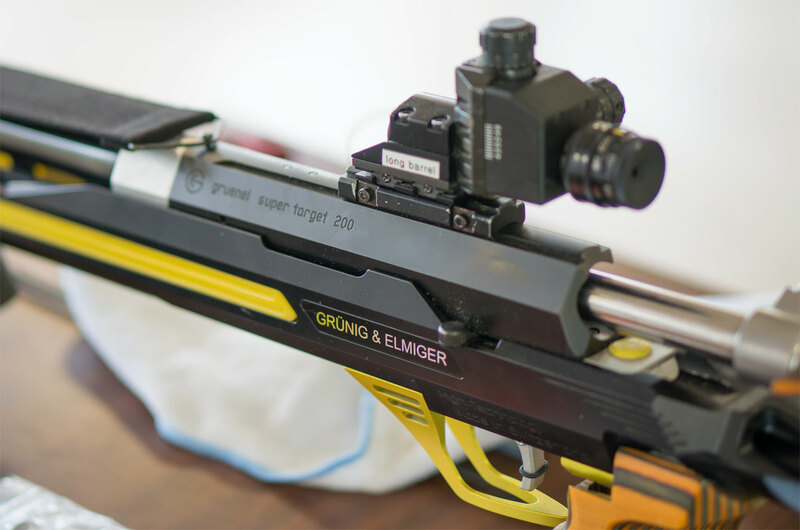 The USAMU’s facility at Fort Benning “is the ideal location to hold a shooting competition of this magnitude,” said Lt. Col. Don King Jr., USAMU commander. “These collegiate and junior championships are on par with the World Cups, Olympic Trials and National Championships we have hosted throughout the years here at the ‘Home of Champions'”. For a complete schedule of events, go to www.usamu.com. 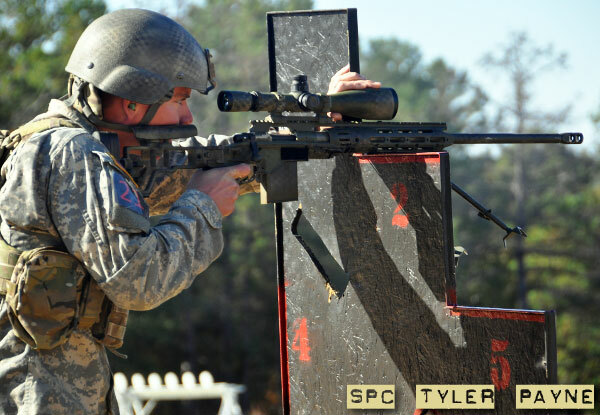 Share the post "Collegiate Shooting Championships This Week at Fort Benning"
SSG Daniel Horner and SPC Tyler Payne of the USAMU outlasted 35 other teams to win the tough 72-hour International Sniper Competition at Fort Benning, GA. 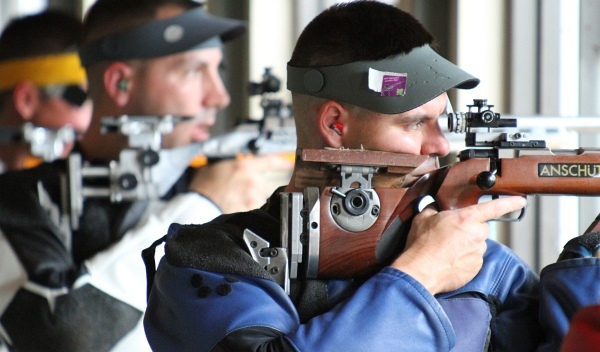 The 2012 field included entries from Denmark, Germany, Ireland, United Arab Emirates, plus U.S. Army Special Forces, the Air Force, Marine Corps, and Army National Guard. There were also LEO duos from Las Vegas, Chicago and Florida. 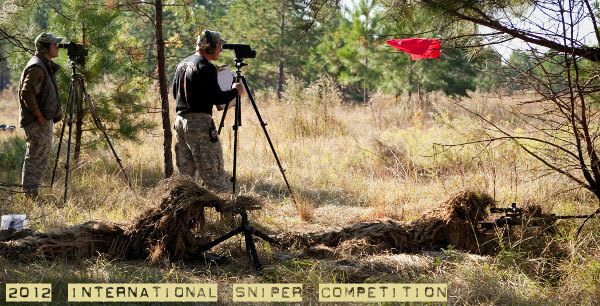 The competition is hosted by the U.S. Army Sniper School. 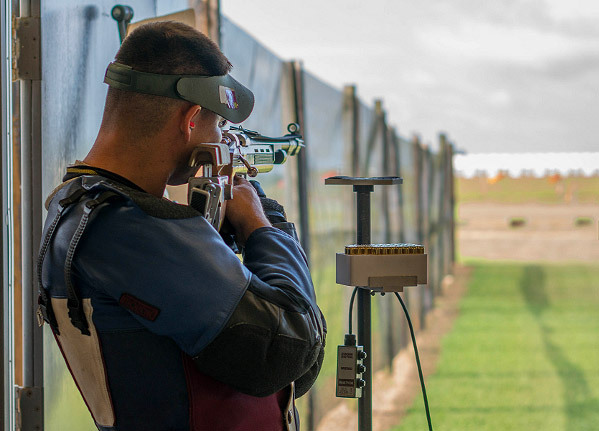 Top shooters from across the globe travel to Fort Benning, GA to compete in the annual competition, a grueling test of marksmanship and sniper skills. 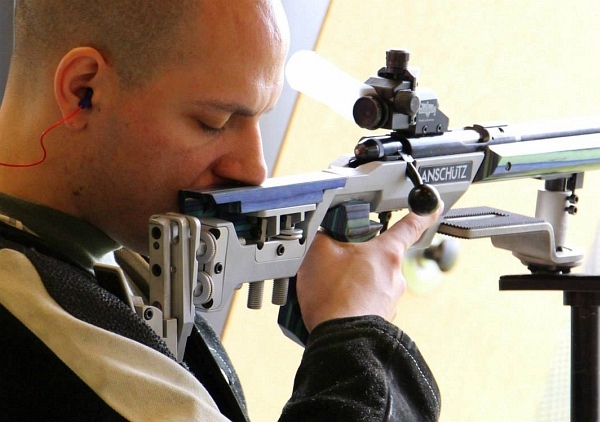 The two-man teams competed in 14 events including a sniper stalk, urban shooting, and orienteering exercises, firing under stressful conditions. 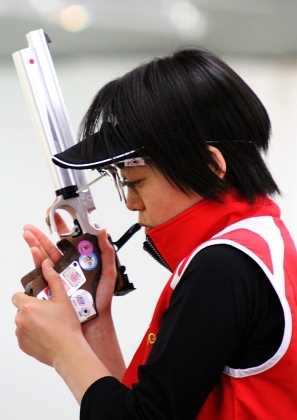 The 72-hour event runs virtually non-stop, with only two four-hour rest breaks in the three days of competition. 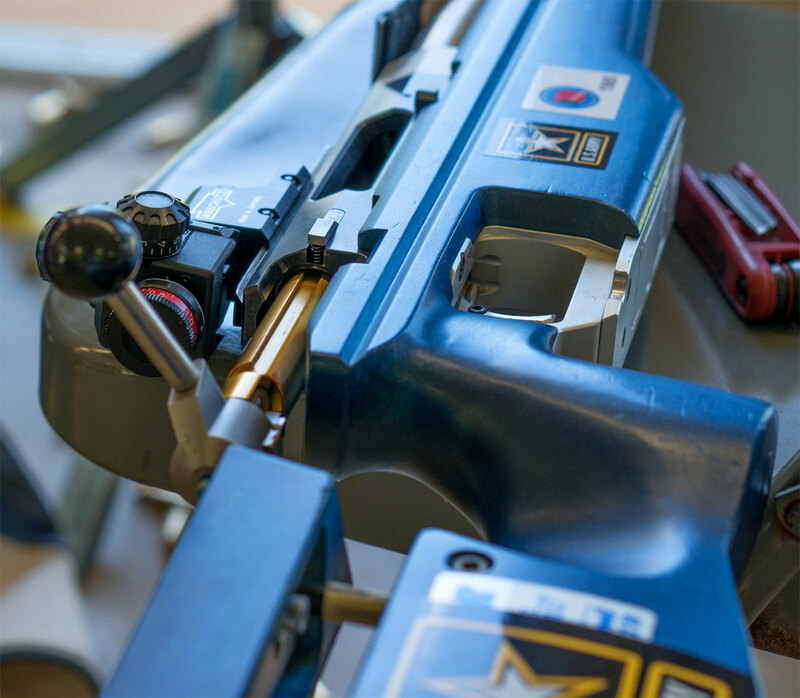 Despite having seven shooting teams within the ranks of the USAMU, the unit doesn’t have a sniper team nor teach sniper skills at any of the marksmanship training courses. 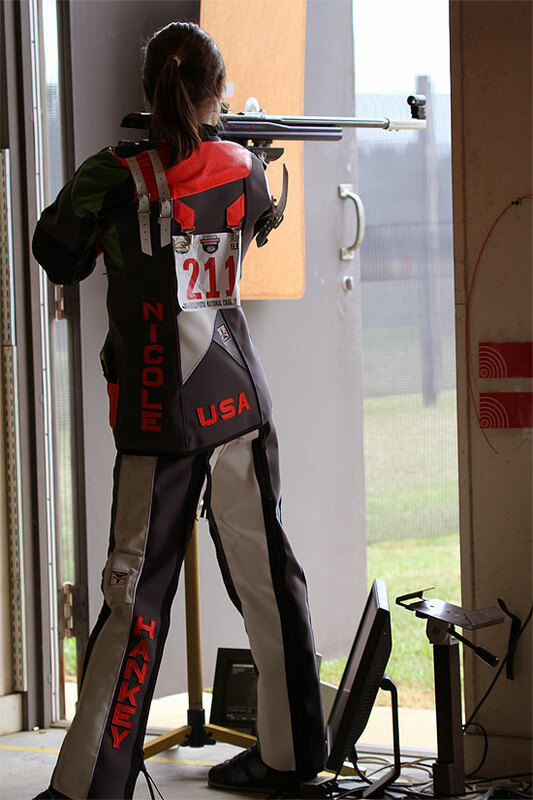 Horner is a 5-time and current USPSA Multi-Gun national champion and Payne was a finalist at last year’s 3-Gun Nation championship. 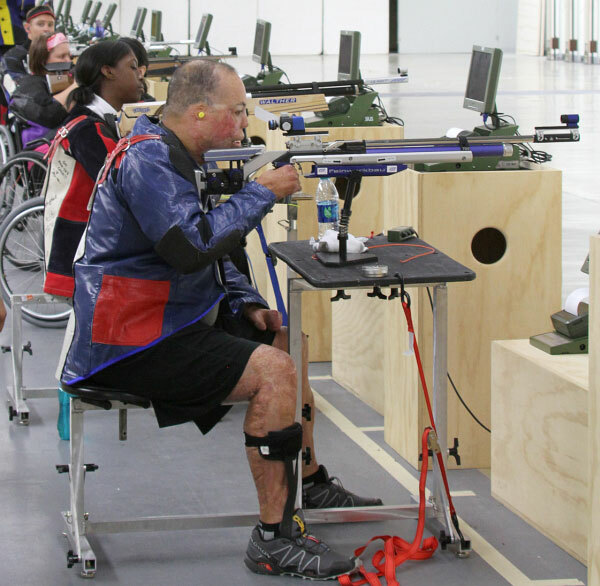 As members of the action shooting team, the Soldiers must have the ability to shoot rapidly and accurately with a handgun, rifle and/or shotgun, skills they were able to adapt and use for the sniper competition. 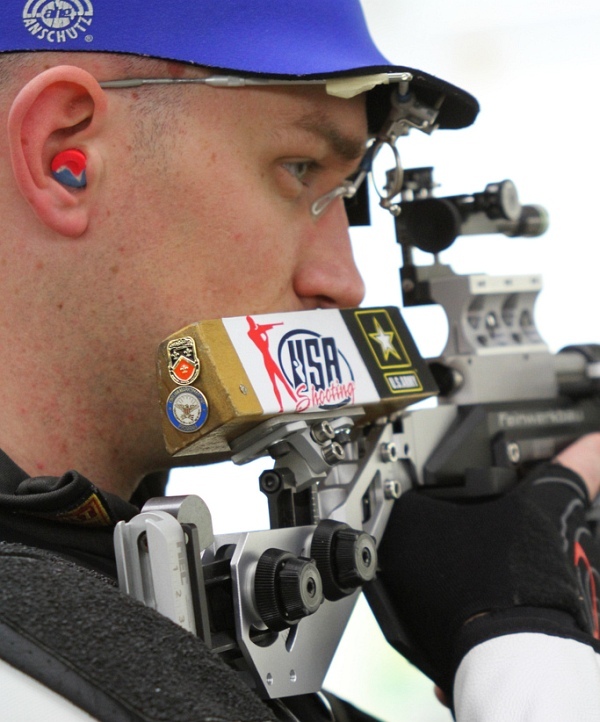 Share the post "USAMU Duo Wins 2012 International Sniper Competition"
Over the past few days, the NRA Intercollegiate Rifle Club Championship has been held at Fort Benning, Georgia, home of the United States Army Marksmanship Unit (USAMU). 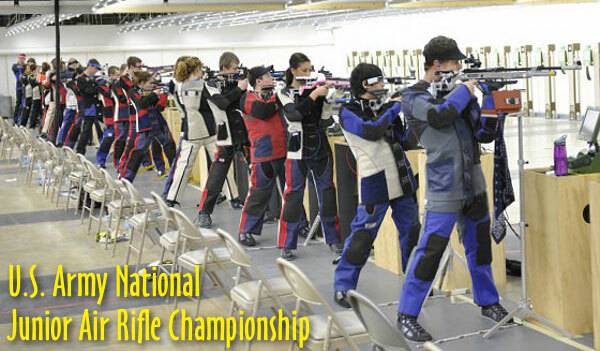 The rifle competition began with Air Rifle matches. 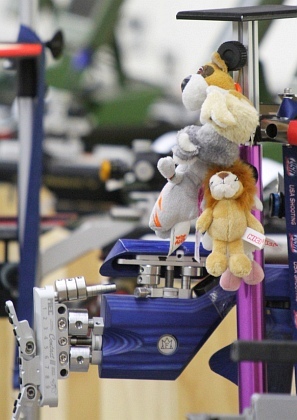 The USAMU’s indoor range was large enough to accommodate every rifle shooter into one relay. 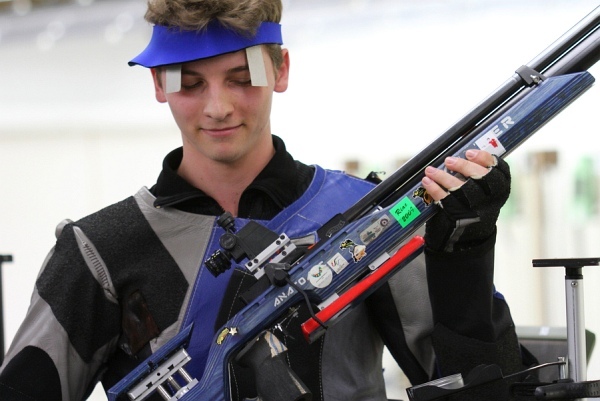 Lead by Amos Peck (590), Tyler Luce (577), and Clayton Peck (566), Michigan State took the Air Rifle Team Title with a 2285 Aggregate, followed by Penn State (2216) and Michigan (2201). 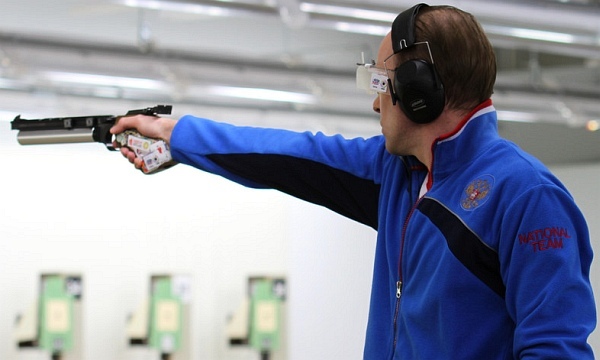 Amos Peck (photo below) was the top individual Air Rifle Shooter. 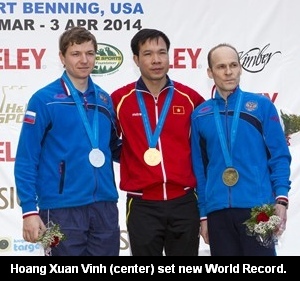 The next phase was the Smallbore Rifle Championship. 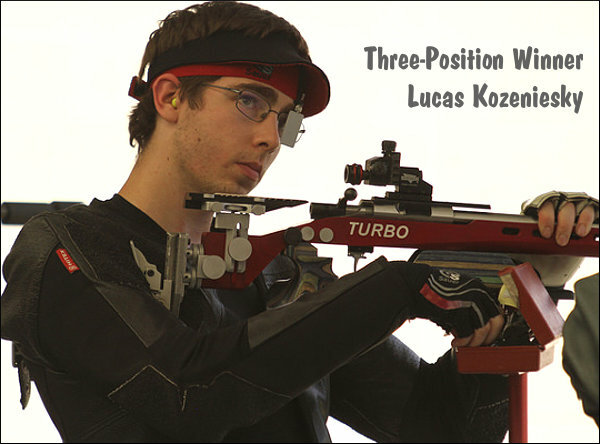 Although heading into the finals of team competition with a 69-point lead, Michigan State needed strong performances from Tyler Luce and the Peck brothers if the Spartans were going to win the 2012 NRA Smallbore Rifle Championship. The Spartan shooters delivered. 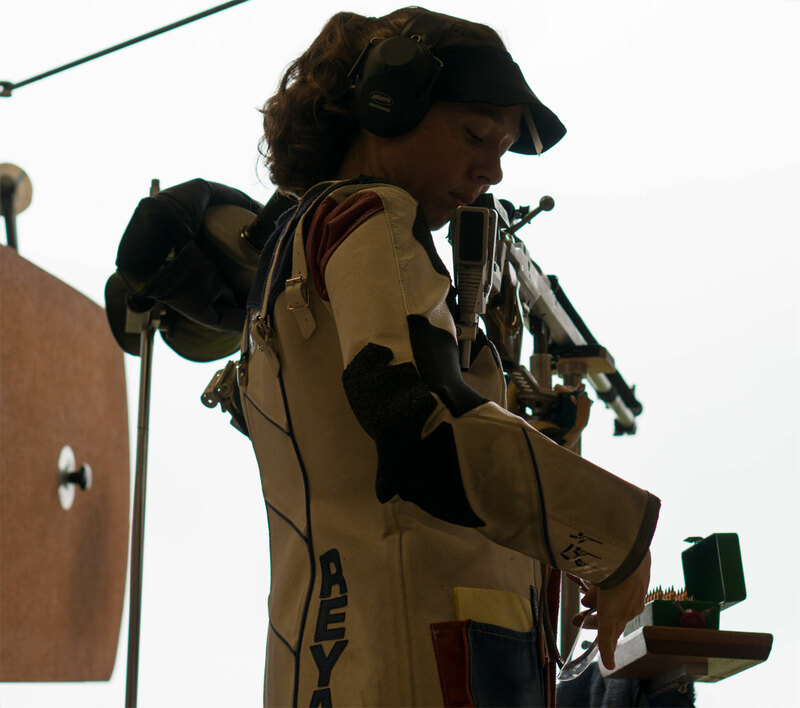 Amos Peck finished first in smallbore, edging Michigan’s Anne Sullivan by one (1) point. 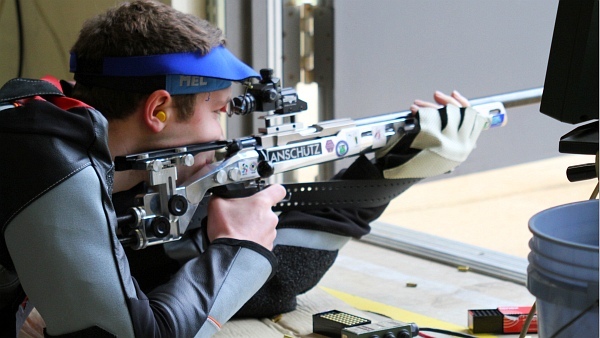 Amos Peck’s win, combined with strong showings by teammates Tyler Luce and Clayton Peck, carried Michigan State to victory in the smallbore Team event. 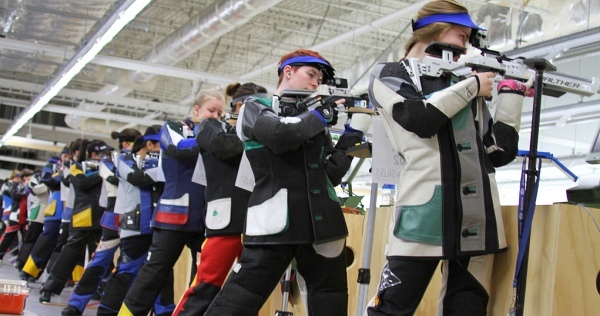 That smallbore victory, on top of the Spartans’ impresssive win in the Air Rifle event, secured Michigan State the overall title. 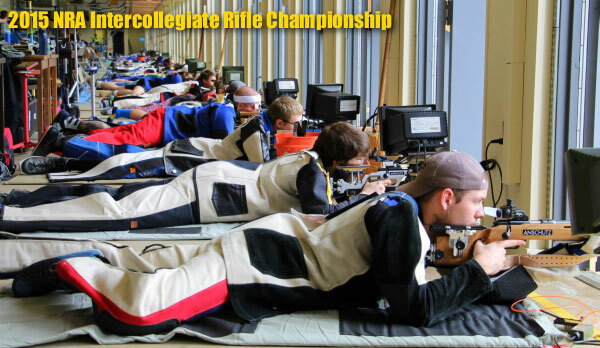 Michigan State took the combined Intercollegiate Rifle Championship with a final score of 4457 — 96 points better than second place Penn State (4361). Michigan again finished third with a 4306. 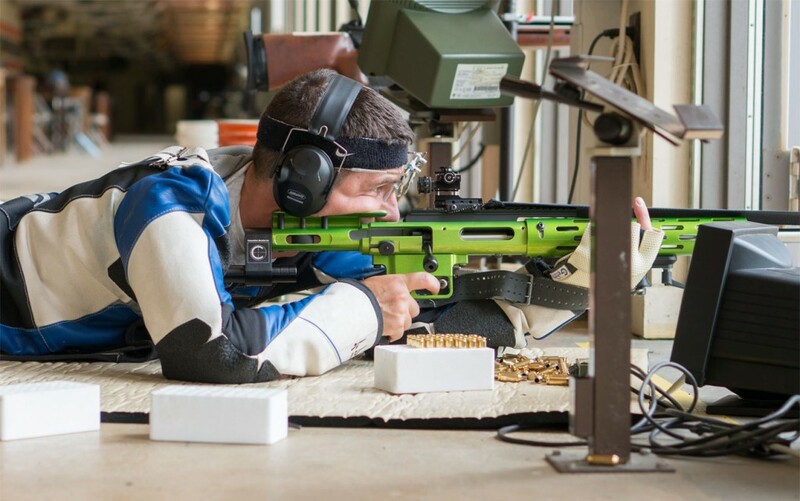 Michigan State’s Amos Peck took the Aggregate individual title, with a score of 1149, following by Spartan Teammate Tyler Luce with an 1130 total score. 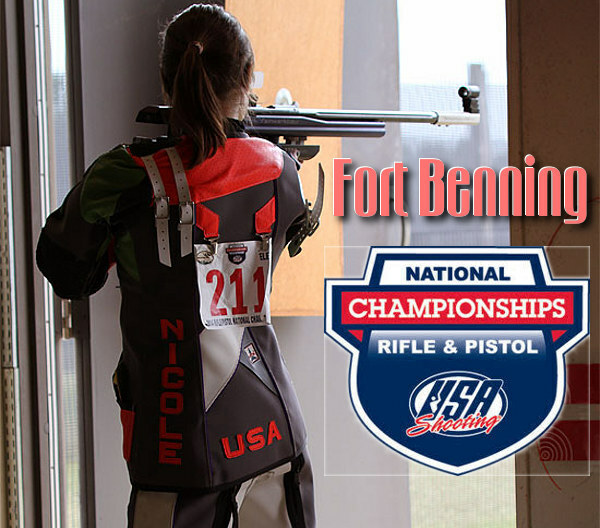 Share the post "Michigan State Wins Intercollegiate Rifle Club Championship"
Legion Productions, creators of the Military Channel’s popular Top Sniper and Modern Sniper TV shows, has released a feature-length DVD covering the 9th Annual Sniper Comp at Ft. Benning, Georgia. 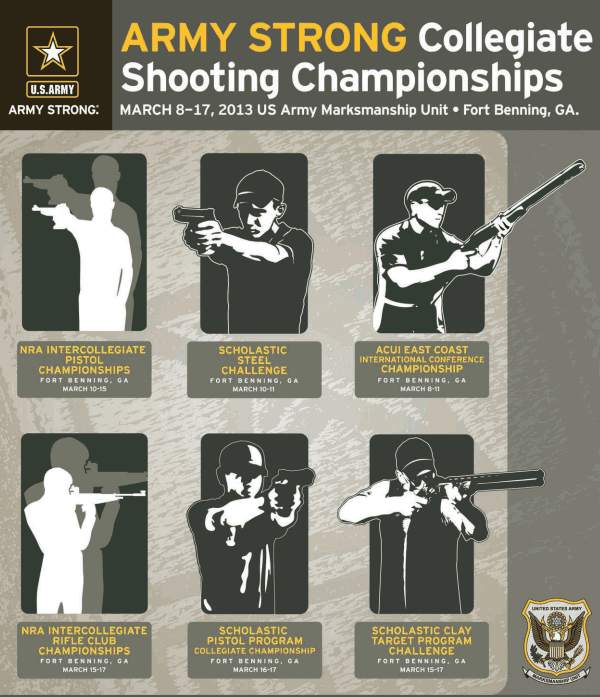 Every year the U.S. Army Sniper School at Ft. Benning hosts the International Sniper Competition. 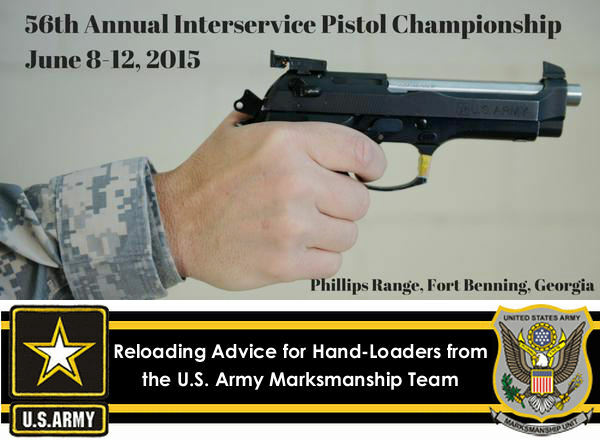 The 9th Annual Comp drew top military marksmen from around the world. Thirty-two teams from the Army, Army National Guard, Marine Corps, Air Force, Special Forces, SWAT and three foreign countries competed in eighteen events and combat simulations over the course of seven very tough days. 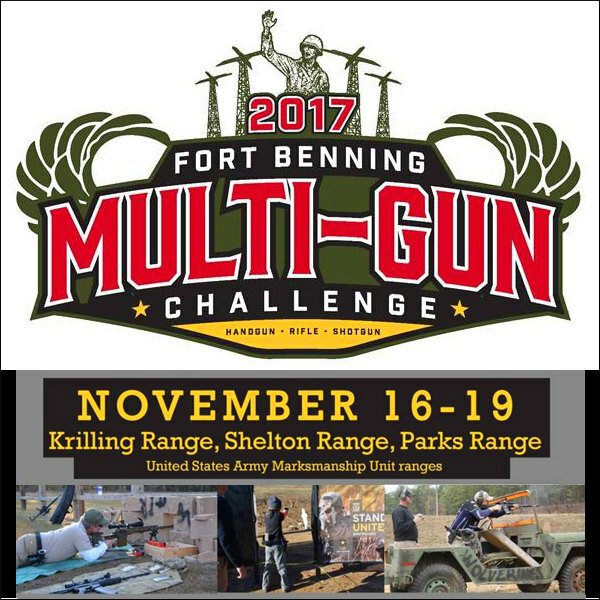 Legion’s action-packed, 173-minute-long SNIPER COMP DVD follows elite sniper teams as they compete in one of the most demanding sniper challenges on the planet, a grueling event that tests participants’ marksmanship, endurance, stalking skills, and observational abilities. SNIPER COMP HD Trailer (to view with Hi-Def 720p resolution, click the Gear Icon during playback). NOTE: This production was created to raise money for deployed forces and to honor fallen soldiers. 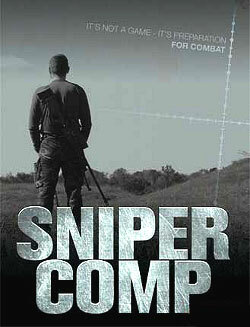 Profits from SNIPER COMP are donated to the U.S. Army Sniper Association and to the USMC Scout/Sniper Association. 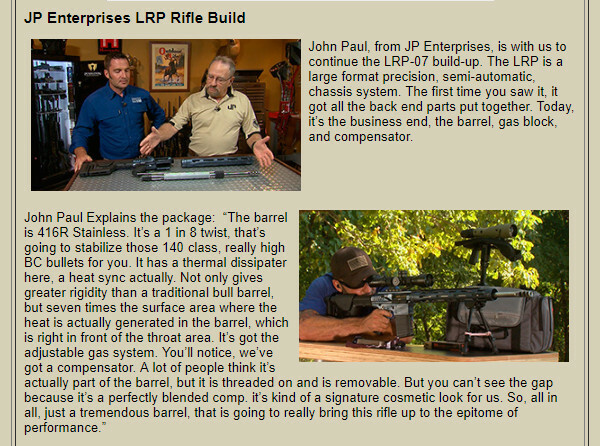 The SNIPER COMP video can be purchased for $15.49 through Amazon.com and Ebay. Legion Productions is a film and television production company with offices in California and North Carolina. Legion Productions specializes in military- and weapons-themed film and television projects. 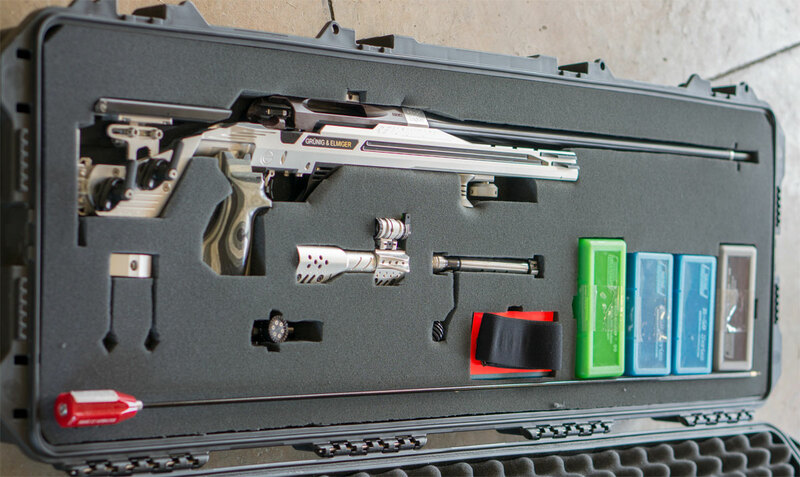 In cooperation with Magpul Industries, Legion filmed and edited the very popular “Art of…” series of firearms training DVDs. 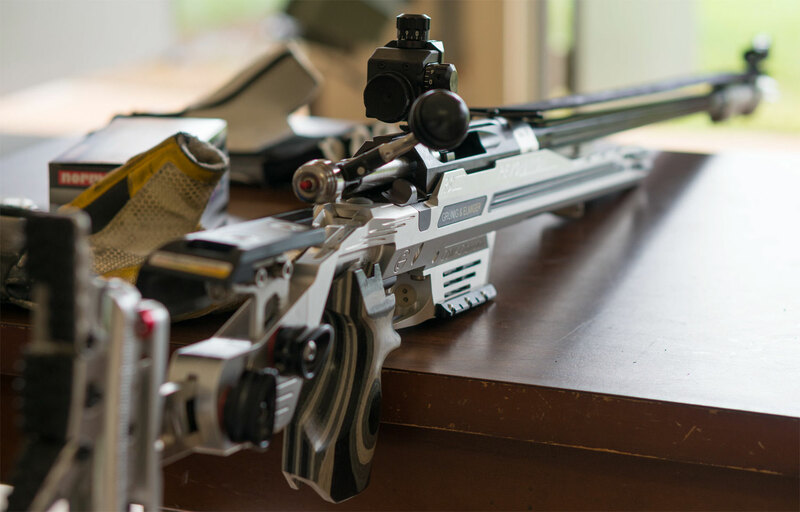 Share the post "New Feature-Length DVD about International Sniper Competition"
You can now watch complete, 21-minute episodes from 3-Gun Nation’s second season on the NBC Sports Network. 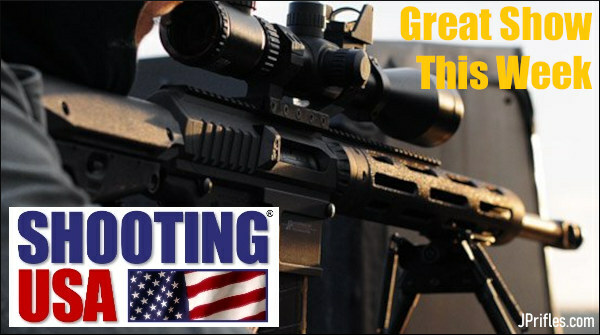 Web versions of the 3-Gun Nation TV shows are streamed on 3GunNation.com. Episodes 1 & 2 feature Keith Garcia’s dramatic victory at the 2011 Superstition Mountain Mystery 3-Gun. 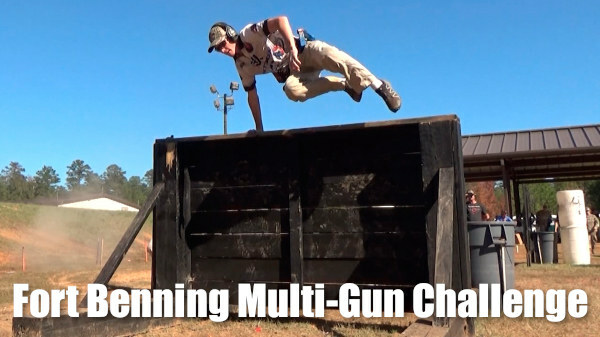 The “must-watch” third Episode covers the popular Ft. Benning 3-Gun Challenge. More episodes will be released starting March 2, 2012. 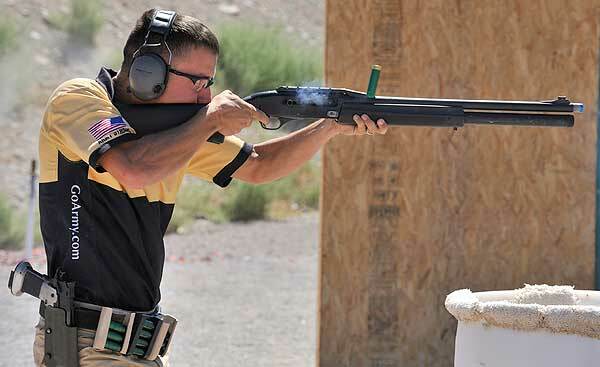 As for Thacker, he learned valuable lessons from Superstition and continued to improve throughout the 2011 season, saving his best shooting of the year for when he needed it the most, ultimately becoming the 2012 3-Gun Nation Champion. Run by the USAMU with support from the U.S. Army, the 2011 Ft. Benning 3-Gun Match was a crowd-pleaser. 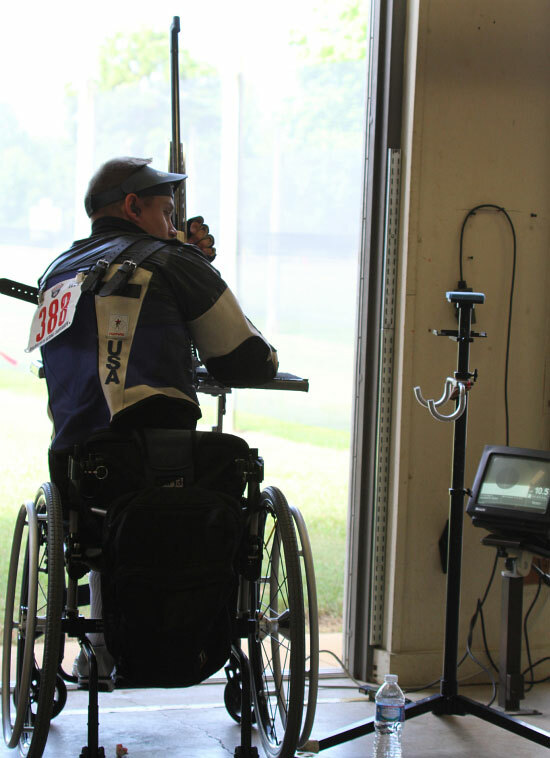 3-Gun Nation cameras give an inside look into the life of one of the sport’s most fierce competitors, Clint Upchurch. 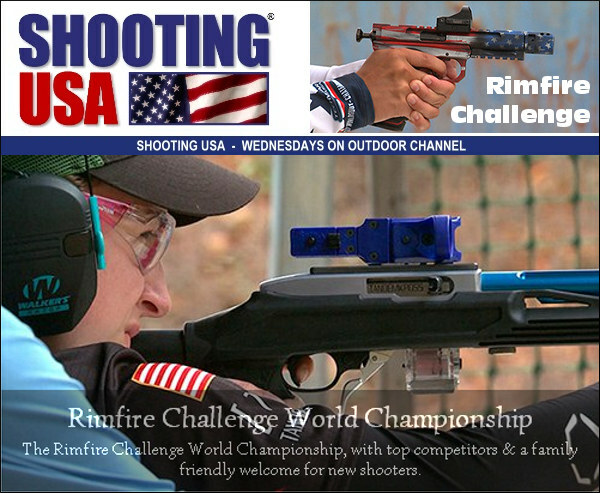 Also profiled is the 2010 Blue Ridge Mountain 3-Gun and veteran shooter Bruce Piatt. 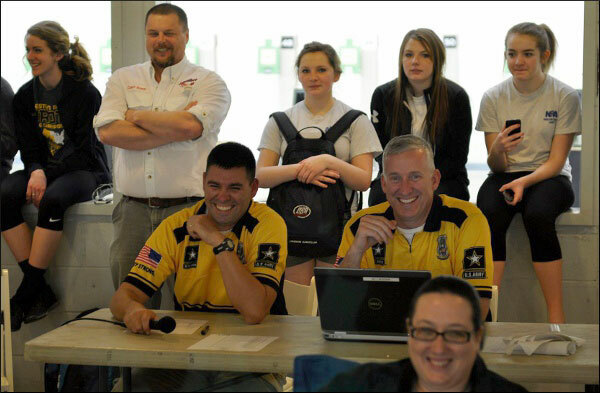 The Ft. Bennng match draws competitors from around the nation. It is unique in that the Army provides armored vehicles and other military hardware “props” not found anywhere else. 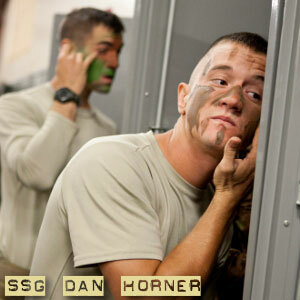 You can watch the entire Ft. Benning episode in the embedded video below. 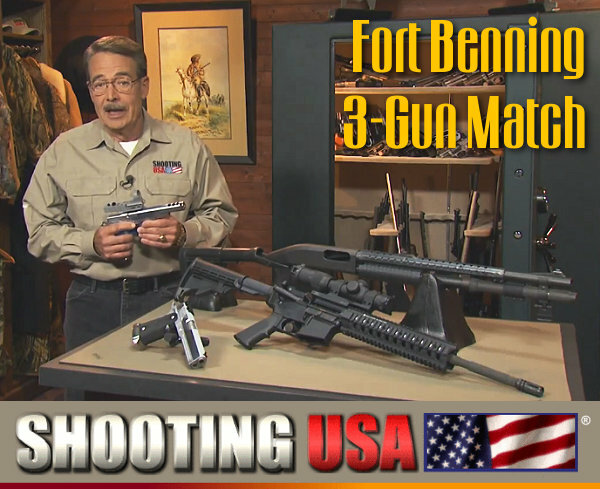 CLICK HERE to learn more about the Ft. Benning match. 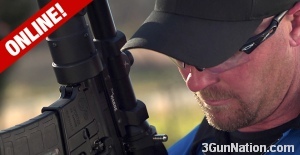 Share the post "Watch Video Highlights from Second Season of 3-Gun Nation"